Do you know that one essential thing you should never neglect when visiting a foreign land? It's not necessarily your passport, plane tickets, or luggage. It is your knowledge about the country and your ability to acknowledge and conform to its culture. Whether you're paying a visit for business purposes or vacations, it's your duty to adjust to the local's culture, beliefs, and laws, no matter how strange they may seem. What's acceptable at your home land might not be applicable to other countries. If you're not careful with your words and actions, you might end up offending an individual or an entire nation, paying hefty fines, or going to jail without even realizing what you did wrong. 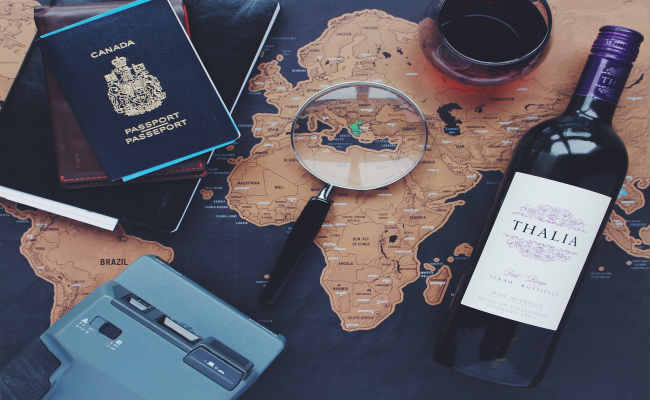 To give you an idea of other countries' “dos and don'ts”, here are 14 unusual and distinctive international customs that might serve as your ticket to building good relationships and experiences as you travel. If you're invited over someone's home or a pub in Hungary, refrain from clinking beer glasses when you propose a toast. The old custom started when Austria won against Hungarian forces in the 1849 revolution. After savagely killing thirteen of Hungarian military leaders, Austrian generals rejoiced by smugly clinking glasses and swigging beer. Hungarians vowed not to mimic their enemies' behavior and to refrain from clinking beer glasses for 150 years. Even if the pledge has already expired, Hungarians still observe the custom up to this date. It's such a sweet act to give a friend, a lover, or a business partner a colorful bouquet of flowers, isn't it? But in Russia, your receiver may feel hurt and offended rather than amused if you're not careful with choosing the right type of flowers. Yellow flowers signify separation or deceit and these blooms are given if you wish to break up with someone. Not all red flowers signify love for red carnations symbolize death and are placed on the graves of the dead or offered to surviving war veterans. The number of flowers is also a big deal; even number of flowers is meant for funerals. It is also not advised to give thirteen flowers since it's considered unlucky. In Venezuela, it is common to arrive later than the requested time. In fact, being early or on time can be viewed as being rude. If you're invited over to someone's home and you're a little early, the host may think you're too eager and greedy. In business meetings, on the other hand, you can be punctual but expect to wait for your Venezuelan collegues and let them bring up the topic. The pace of the business should be informal and easy-going. If you give knives or scissors to a Dutch friend, don't be if he or she feels uncomfortable or gets offended. Giving sharp, pointy objects as gifts, no matter how fancy they are, is considered unlucky. The superstition is also common to Germans who view knives as symbols of death or injury in the household. If you're giving a card, a note, or a letter addressed to someone from South Korea, be mindful of your pen ink color. Never write a person's name using red ink, which may imply that the person is dead or you're wishing him harm or death. Red ink was used in the past to write names of deceased people on the family register. Keep this in mind especially if you're giving a birthday card. Does your meal need a little taste? In other countries, you can help yourself by sprinkling the salt shaker on the table but try not to do this in Egypt, especially at home. If you season your plate, you are implying your host that you find the meal's taste nasty. If you enjoyed the meal, Egyptians would love to hear compliments, but never leave a clean plate to express how much you loved the food. If the plate is empty, the assumption is the host may not be generous enough so make sure you leave a little portion of your food on the plate. Also, refrain from touching the food using your left hand for it's considered unclean. So you've already learned how to use chopsticks? Well, congratulations. Now, you just have to observe mealtime etiquette using chopsticks, especially if you're dining with Japanese colleagues. According to the Japanese custom, it's considered ill-manered to play with and stab food with chopsticks. You should also refrain from passing food and moving dishes around using your chopsticks. If you're taking food from a shared plate, make sure to use the opposite ends of your chopsticks. Using the end that touches your mouth isn't just unhygenic but offensive as well. It is never advised to discuss business during social occassions like weddings, reunions, and simple dinner parties, but in Bolivia, it is considered as a rude behavior. Dining experience is meant to enrich personal relationships and not discuss business. If you're in a business lunch or dinner, it will be a polite gesture to wait until your host brings up the topic about work. Before diving into the business issues, Bolivians will want to be a little informal and discuss topics like family and other easy-going topics. Littering your used gum is never an appropriate thing to do. But there's no such thing as "sorry" in Singapore where you can be put to jail or pay a hefty fine for one, careless mistake. In fact, even the act of selling and chewing gum is punishable by law, unless you're blowing those bubbles due to your doctor's orders. According to Singapore Statutes Online, you can pay a first-time penalty as high as $100.000 or a 2-year prison sentence for selling gum. Driving using flip-flops is never a classy act but it is considered as a criminal offense in Spain. According to the law, driving without decent clothing or footwear diminishes the driver's ability to control the vehicle. Aside from wearing flip-flops, you could also pay a fine of EUR 200 for not wearing a shirt or being barefoot while driving. The people of Thailand honor its monarch and since the king's likeness is on all currency, stepping on money is similar to stepping on the king's face. With this, stepping on any Baht, whether intentional or not, is illegal. Not being mindful of your actions can send you to jail. In other countries, cashiers over the counter are pleased to know that you have coins and smaller bills in your pocket. In Canada, it's the other way around. It's illegal to use more than 25 pennies in one transaction. So if you're visiting Canada, make sure to allocate your pennies properly if you want your poor piggy bank to lose some weight. Every nation in the world allows its people to divorce under certain conditions except the Vatican, an ecclesiastical sovereign city-state, and the Philippines. These two nations, dominated by Roman Catholic Christians, make sure the people acknowledge the sacredness of marriage. Muslims, however, are exempted due to their religious beliefs. These countries only allow annulment of marriages if you want you and your spouse to get separated. So opening up topics related to divorce, especially when religion is involved, may start a heated discussion. Well, there's nothing serious about this fact but this practice might surprise you once you visit Mexico. If you're invited over a Mexican birthday party, you'll notice that once the cake has been brought out and everyone has sung "happy birthday", the celebrant is encouraged to take the first bite of the cake. The guests will chant "Que le muerda" (Bite it). Then, someone will push the celebrant's face into the icing. Since it's a tradition, the celebrant is not allowed to get angry or offended. After the fun-filled celebration, expect the frosting-filled face to become the most photographed scene of the day. Carmina Natividad is a writer who has always been passionate about giving in to her wanderlust and collecting mementos from different countries. She also enjoys writing for Holiday Inn, a modern hotel in Western Sydney known for their exceptional accommodation, service, and location, which appeals to travelers in Australia.